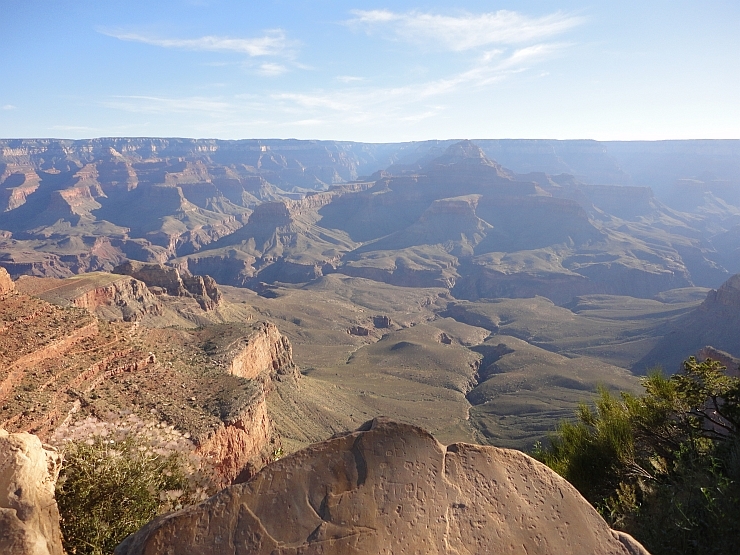 The Grand Canyon is one of those destinations one can never get tired of. 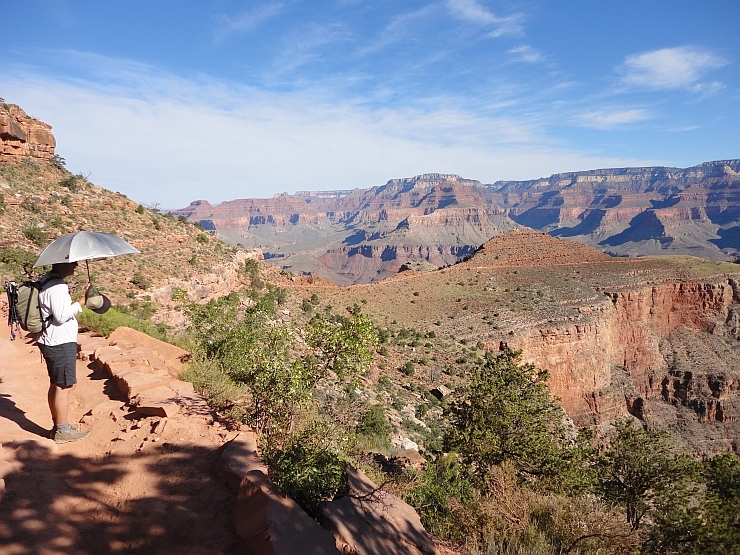 In 2001, we hiked the Grand Canyon rim to rim. 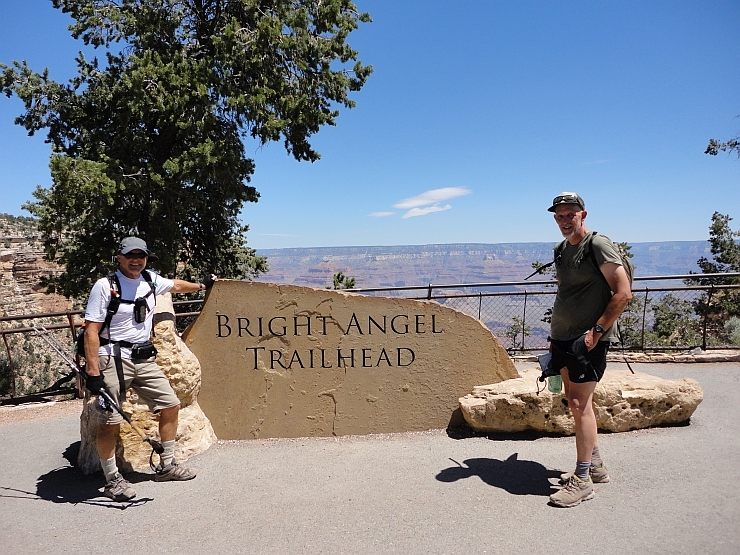 In 1991, Alan hiked to the bottom from the south rim to Phantom Ranch then back up the Bright Angel trail. Needless to say, we're experienced canyon hikers. 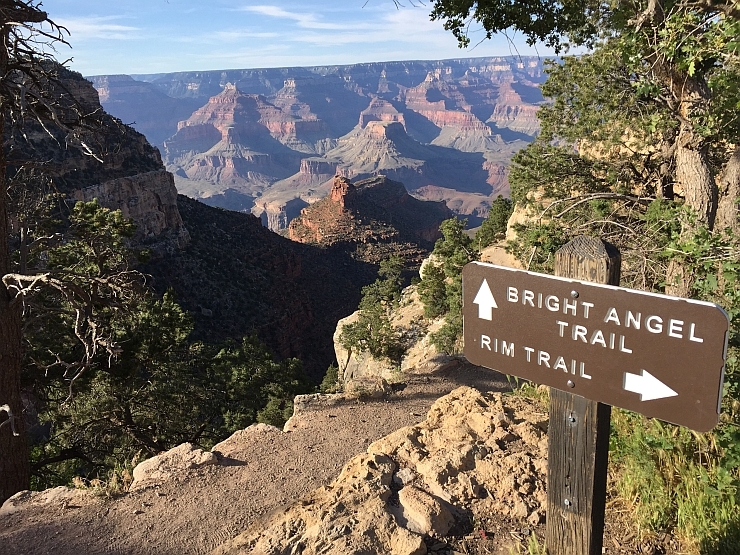 This time, Alan would repeat his hike of 1991, and along with Kevin from Seek Outside Equipment Company, they would enjoy a spectacular trip into the Grand Canyon. Scroll down for photos of this classic hike. 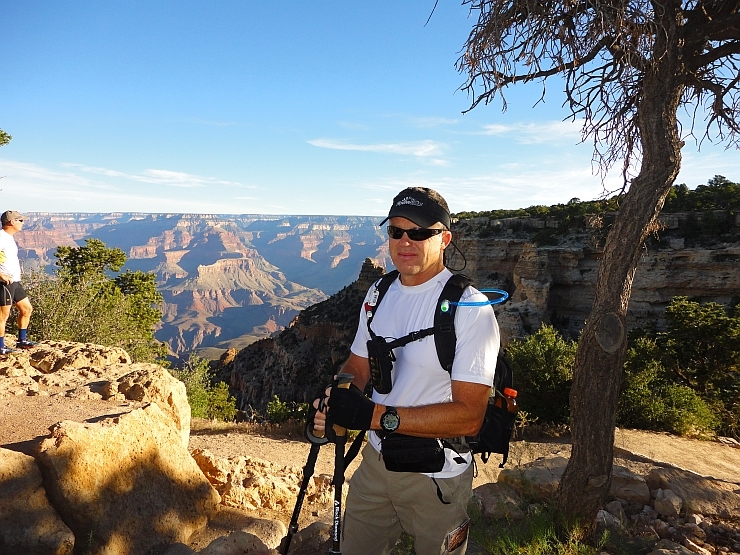 At 6:00 a.m., Alan begins the hike on the south rim at the Kaibab trailhead. Kevin in the canyon about a mile down the trail. Kevin was quite the hit on the trail with his umbrella. 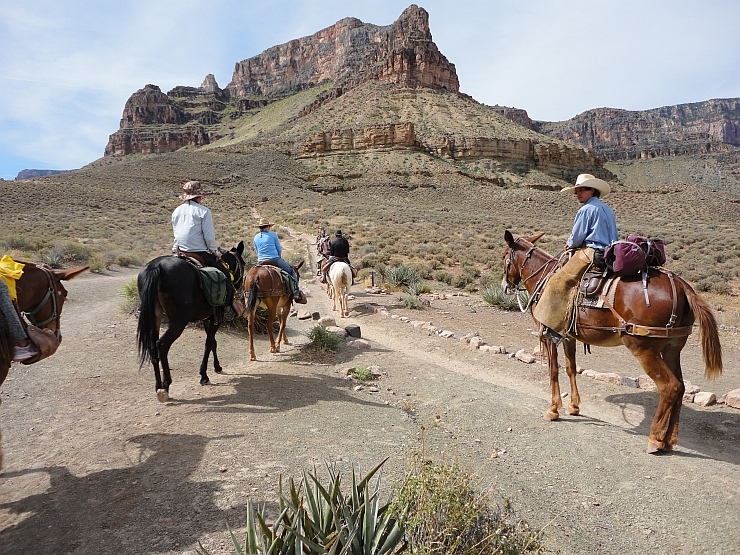 Near Cedar Ridge stop, riders are heading up to the south rim after a stay at Phantom Ranch. 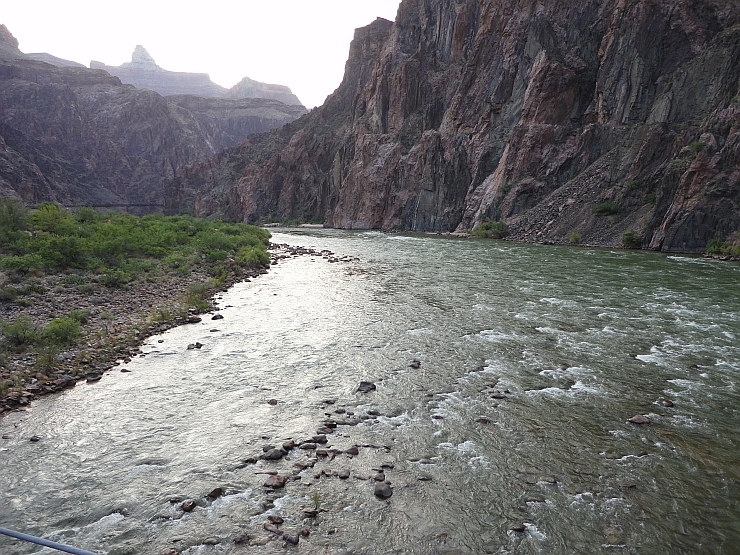 After a couple of hours, our first views of the Colorado river. 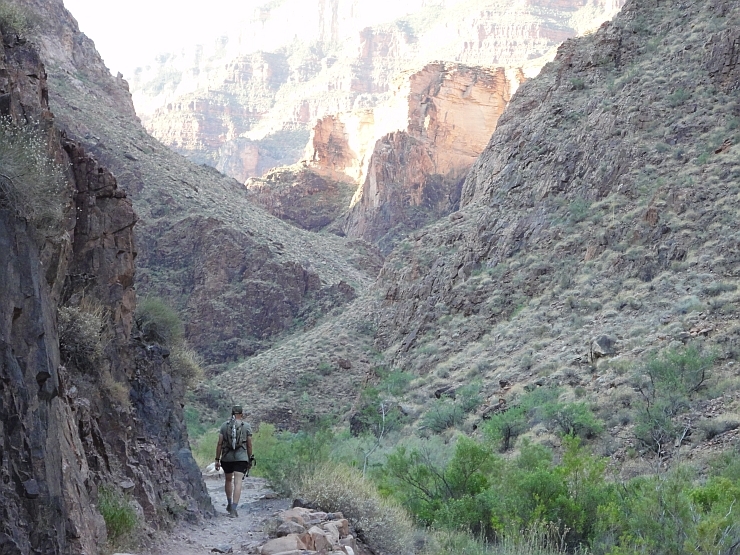 Deeper in the canyon, mules without riders carry trash and tourist luggage out of the canyon. 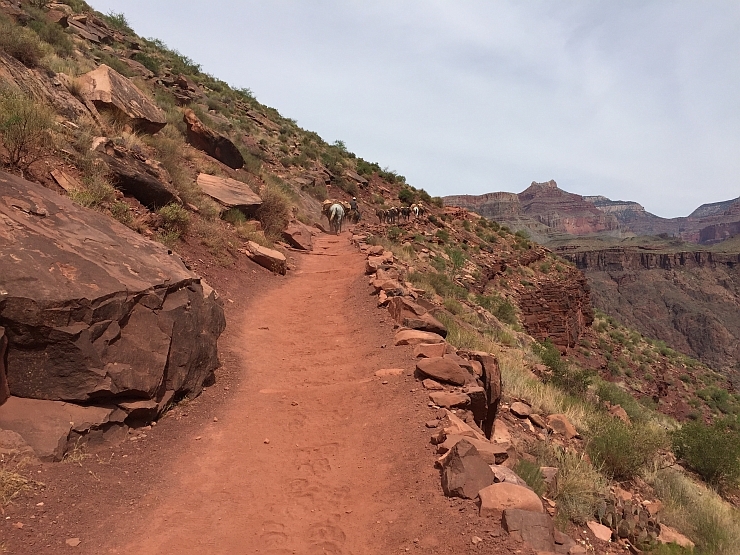 When mules go by, hikers are expected to step off the trail and remain quiet so not to startle the mules. 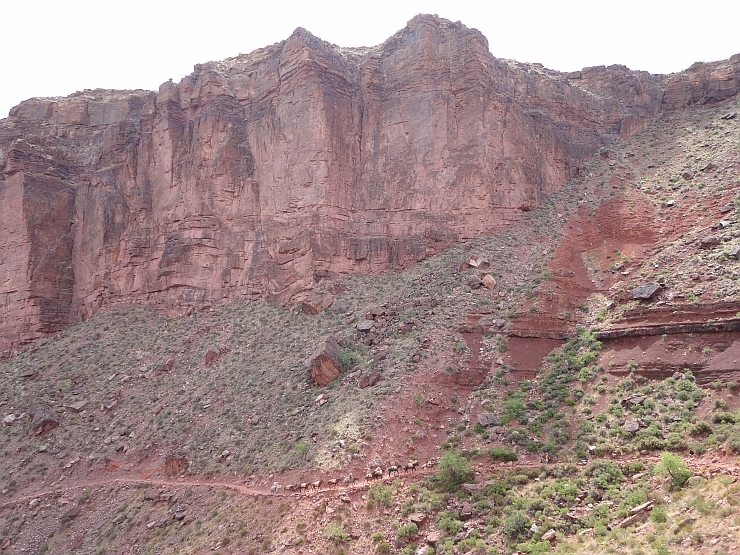 Almost to the Colorado River, you can see the buildings of Phantom Ranch at the bottom of the canyon. The first of two suspension bridges across the Colorado River. 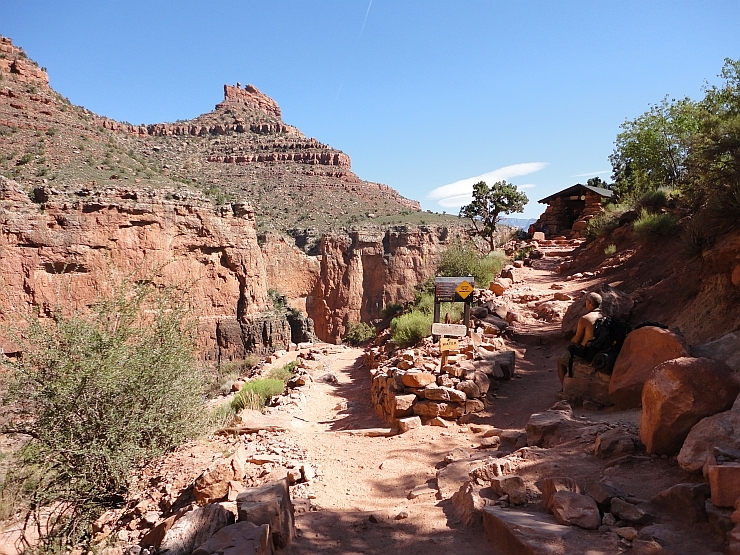 This one is for the Kaibab Trail and is accessed through a tunnel. Phantom Ranch hadn't changed much in 27 years. There's still steak and beef stew for dinner, and air conditioned bunk houses. Beginning in 2019, the reservation system is changing to a lottery system which means it may be more difficult to get a spot here during peak season. 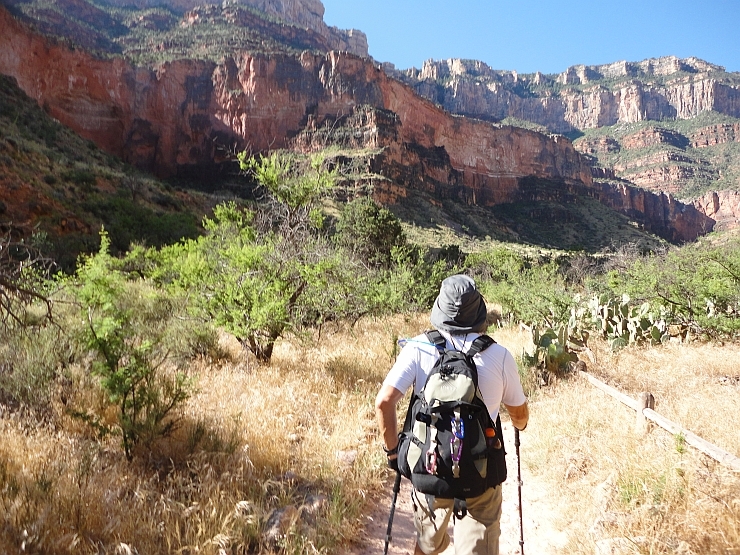 At 5:00 a.m., we start our 9.5 mile hike out of the canyon. Its also a 4300 foot climb. 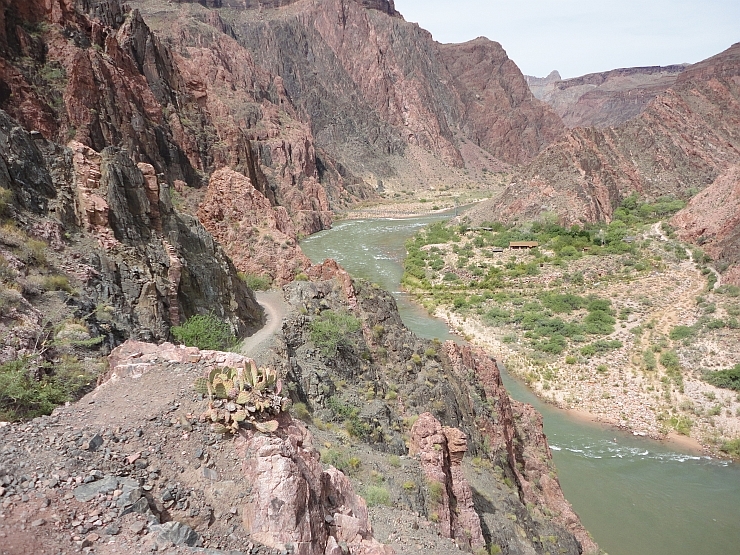 The Colorado River shines in the morning sun while hiking across the Silver Bridge near Phantom Ranch. 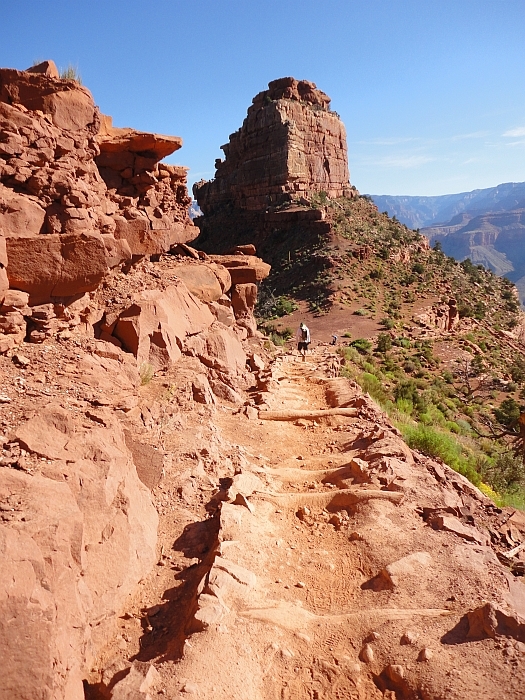 After Indian Gardens, Alan heads for the final three miles of switchbacks before reaching the south rim. 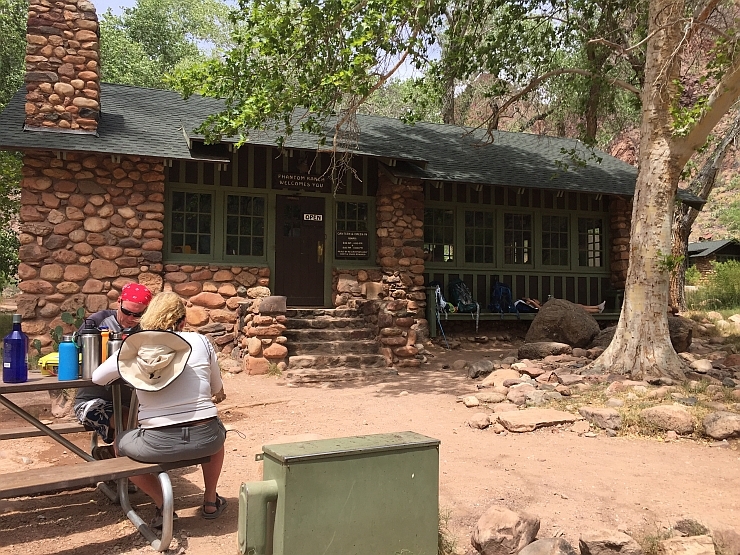 The last three miles of the trail has several rest houses with water and restrooms available. Thanks to Kevin for coming along and for the use of his photos. Check out the great selection of packs and tents by Seek Outside.